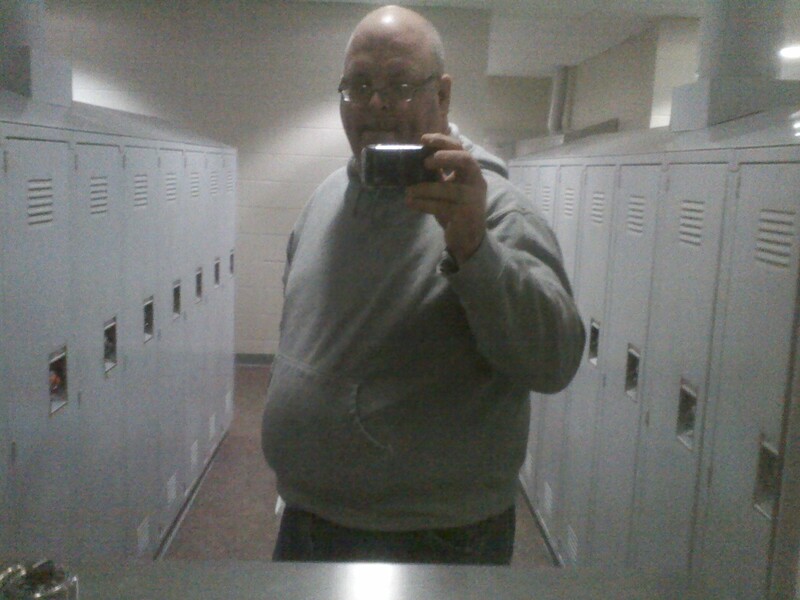 Picutre taken at 5:30 p.m. on Monday, Jan. 4, 2010, in men's lockerroom at Muscatine Community Y.
in was today for the Muscatine Community Y’s team weight-loss contest, which will end in early March. I’m not going to say how much I weighed — let’s just say it was pretty far north of too much. But I’ve weighed even more in the past. And I’ve also weighed a lot less, so I know I can lose what I have regained. I got off to a good start, lifting weights for a little more than 30 minutes and then going to a 50-minute spinning class. Combined, I burned a little more than 1,000 calories. I ate three meals today and didn’t eat in between meals. And now I’m off to bed. Before that, however, I’m going to give myself a body rub — it’s a macrobiotic practice I learned a few years ago from Jill Skeem, a counselor and good friend in Idaho. You can learn more about her at http://www.backtorealfood.com/ If you read deep enough in her Web site, you’ll learn more about how much Jill helped me three years ago, and how far I’ve fallen since then.